Chinese sesame paste, made from toasted white sesame seeds, is a common ingredient used in noodle dishes, salads, fillings for buns, and dipping sauces for hot pots. The nutty, rich flavor of Chinese sesame paste makes it very popular in different regions of China, particularly in Sichuan cuisine. Most of the Chinese sesame pastes you’ll find in Asian/Chinese supermarkets are usually found in jars. The paste is pretty solid with some oil floating on the top and needs to be mixed evenly before using. But instead of buying jarred sesame paste (which can be difficult to find), you can make your own Chinese sesame paste from scratch. It’s very easy and quick to put together—all you need are white sesame seeds, vegetable oil, the oven, and a food processor. Preheat the oven to 350 F (180 C). Line a baking sheet with parchment paper. Pour the sesame seeds onto the baking sheet and shake the pan to get them in an even layer. Bake until fragrant and light golden brown, checking every 5 minutes and shaking the pan to make sure they're baking evenly. After the sesame seeds are toasted, leave them to cool down a little bit, but not too much—you need to add them to the food processor while they are still warm. Store the sesame paste in a dry, clean, air-tight jar in the refrigerator. It will keep for 1 month. Because these little white seeds are so small, you may not realize that they are quite good for you. Sesame seeds contain very high levels of quality protein as well as fiber. They also include plenty of magnesium which will help to lower blood pressure, improve respiratory health and prevent asthma, and ward off diabetes. (They can also help the body to generate plasma glucose in hypersensitive diabetics.) These seeds also are high in zinc which is very good for both your skin and bones. Due to the high levels of phytosterols, also known as plant sterols, sesame seeds can lower bad cholesterol. 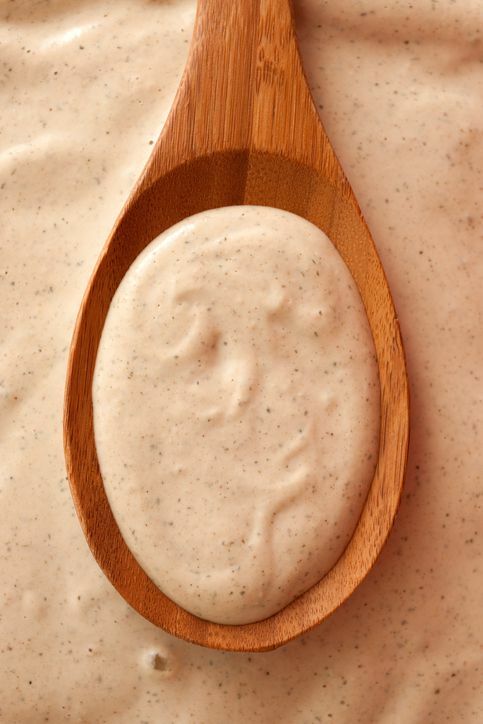 Tahini sauce, used in Middle Eastern cooking, is also made from sesame seeds. Although it tastes similar to Chinese sesame paste, it does not have the same depth of flavor since the sesame seeds in Chinese sesame paste are toasted while those in tahini sauce are simply added raw.